The history and nostalgia of Cameron’s Pub. The Inn was built about 100 years ago and has quite a history. At least three times since the turn of the century it has been a house of ill repute, or a house of fun, depending on where you grew up and what you learned to call those places where ladies of the night lived. During the “Roaring Twenties,” Al Capone’s sister allegedly became involved in the Inn and reportedly owned the slot machines in play there. Bootleggers used to make their brew far back in the coastal canyons and then take it to the Inn, where it was shipped to San Francisco. 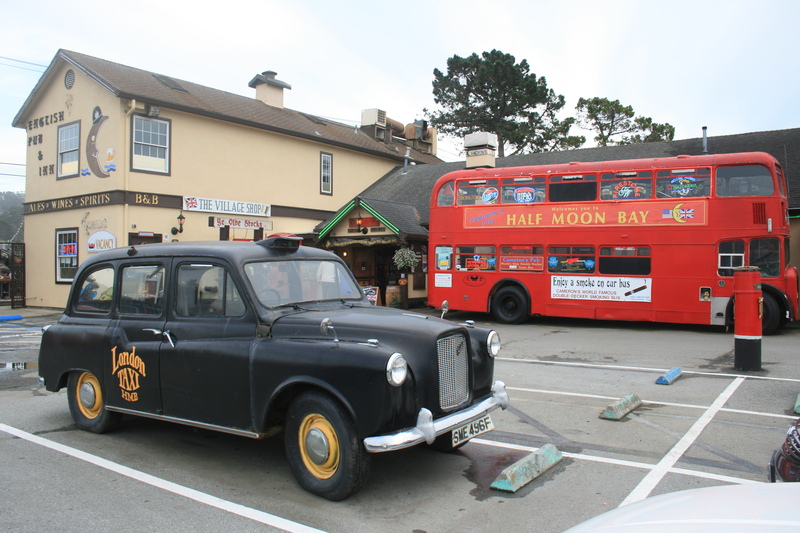 There are still people who can recall bullets flying across Highway 1, as hijackers fought it out with the bootleggers over who would get the booze. Three murders took place at the Inn in the 1930’s. Two of them occurred when three escaped convicts from San Quentin ended up at the Inn and had an argument. One of the convicts shot and killed the other two. Not much could be learned about the third murder, except that it involved a woman. During World War II the Army took over the Inn. They used it as a mess hall and converted the upstairs portion into officers’ quarters. Later, Cameron added the back part that is now used as a bar and game area. In the late 40’s, some residents recall drinking in the back part of the Inn while drunken bartenders took turns shooting pistols at targets set up on the wall opposite the bar. In the 50’s, several people reported having their first beer at the Inn several years before the age of 21. It was that kind of place. In the 60’s, the Hell’s Angels motorcycle gang allegedly stopped at the Inn for a drink. The Angels were reportedly in a hurry and therefore rode their cycles into the bar itself. 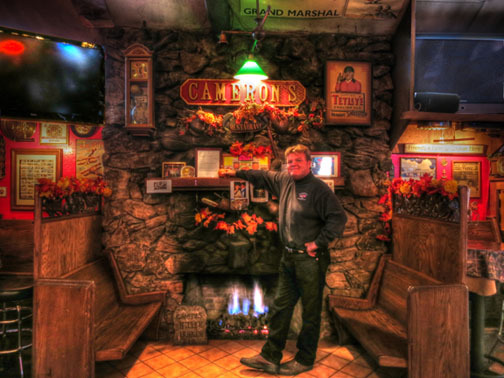 In recent years, Cameron’s has become a hot spot for celebrities to visit, from Daniel Radcliffe (of Harry Potter fame) singing karaoke on our stage, to Pierce Brosnan, Danny Glover, and Gerard Butler, as well as sports legends Willie Mays, Barry Bonds, Orlando Cepeda, and many others. One never knows who you will run into at the pub. Cameron Palmer, owns the inn and hopes to continue to establish new traditions. We look for ways to give little ones a lot of wiggle room so parents can relax too. Cameron’s Restaurant also boasts an amazing game room with a full arcade of video games, foosball, shuffleboard, darts, dominoes, chess, checkers, cribbage,and dice. There are five big screen televisions in the game room to watch whatever sport you choose – along with your own personal remote control (but try not to get too carried away). We also have a beautiful fireplace to snuggle up to, with inglenook seats on either side, built out of old pews from our church to create a cozy place away from the cold. The double decker smoking buses from England are also a place to enjoy your grub, watch TV, or spend time chatting with friends. Our motto for the English buses is “Bus your own bus”! Our bus is from Bristol, England. It’s a country bus made a few inches shorter to make it under the arched bridges in the English countryside. Hiya Mate. Contact Cameron's Pub to schedule an event or reservation. Have a question? Ask us.